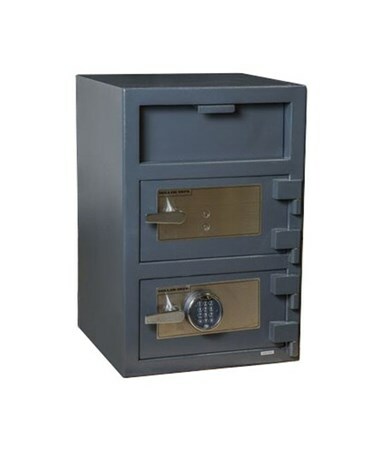 The Hollon B-Rated Double Door Depository Safe is a versatile 3.6 cubic feet storage unit great for different applications. 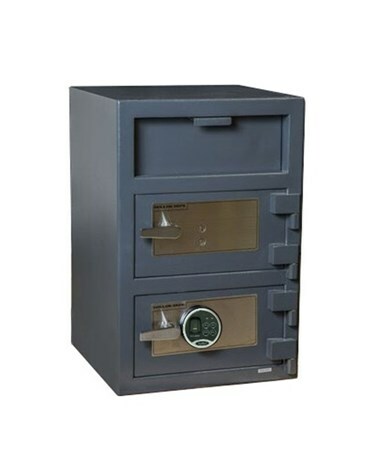 The front-loading deposit door delivers items into the upper compartment, while the bottom compartment can be used for storing other valuables. 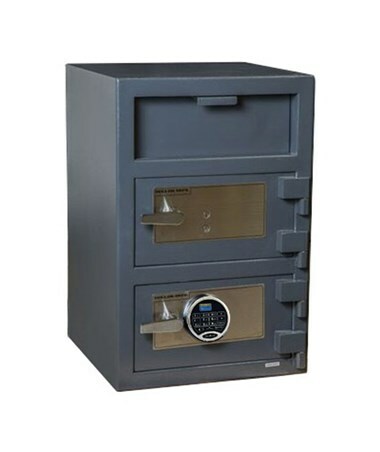 The safe’s security features include a guard plate that serves as anti-fish for the deposit door, heavy-duty dead bars that prevent door removal, and an internal spring-loaded relocking device. 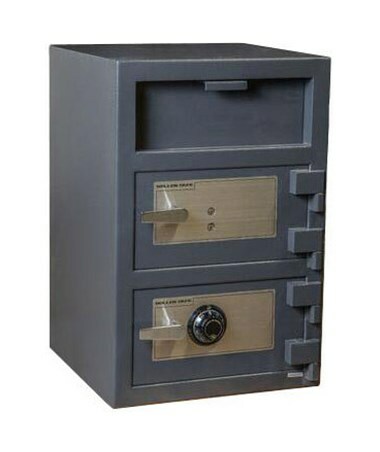 Four anchor bolt holes are also provided to allow the safe to be bolted down in place. Each of the compartments’ doors has solid 1.2-inch locking bolts and has its own lock. 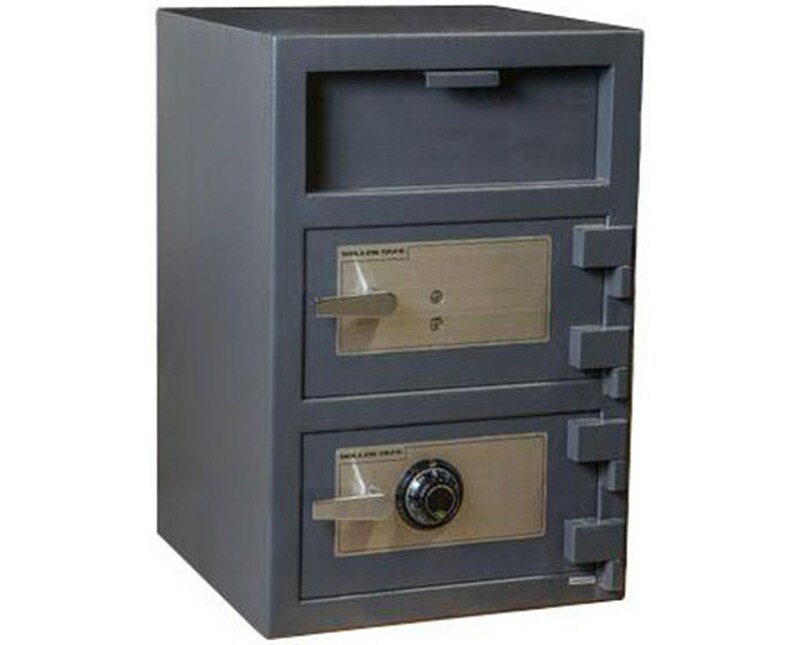 Different choices of UL listed locks are available for this safe and these locks are protected by a drill and bullet resistant hard plate. 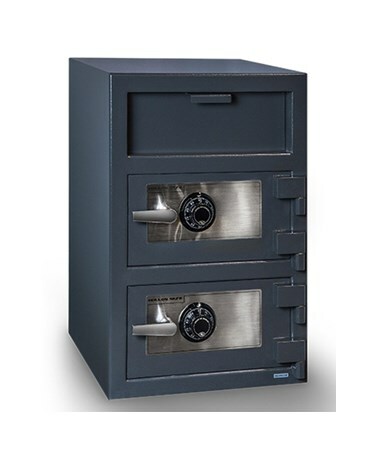 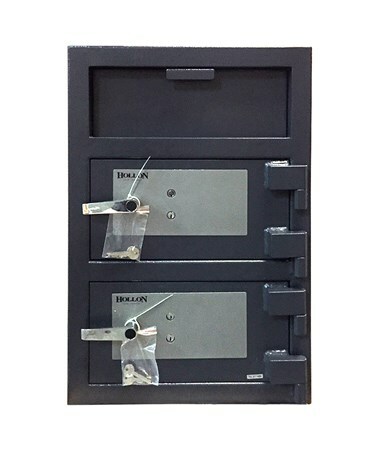 The Hollon B-Rated Double Door Depository Safe is available in different types of locks. 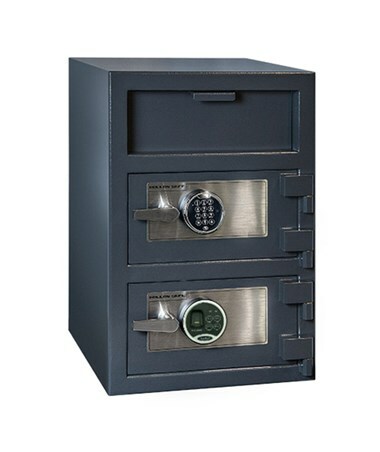 Please select your preference from the drop-down menu above.